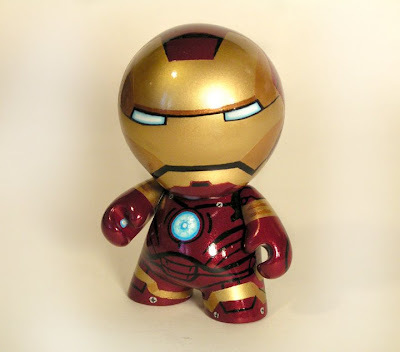 This is my most recent Mini Munny, Iron Man. A friend a work requested him for his daughter's birthday and she loved it! I have to admit, it was hard giving it up, it turned out really well. I've been wanting to do an Iron Man since the movie came out last year, and this gave me the perfect opportunity. Thanks, Darren! Jump over to my Flickr page to see more pics of him! 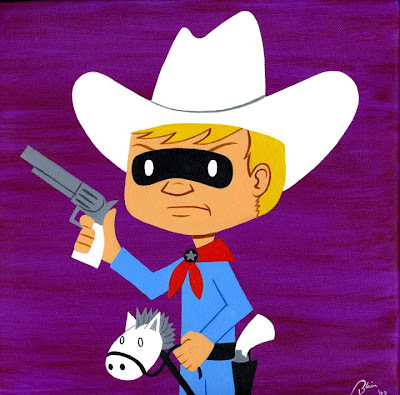 I recently completed work on several new paintings based on me (as a kid) dressing up as some of my favorite super heroes and cartoon characters. I'm sure most of you could guess who I am in all of these. Yes, I played dress up a lot when I was little and have pictures of me as all of these characters. Click here and see the other four new paintings in the 2-D gallery on my website. These paintings will also be a part of a new show called "World of Imagination" at the APW Gallery in Long Island City, NY. There are about 500 artists participating in this show, all contributing up to 5 12" x 12" paintings a piece! That's going to be one heck of a show! The opening reception will be this Friday night at 6 p.m. and the show runs through March 29. 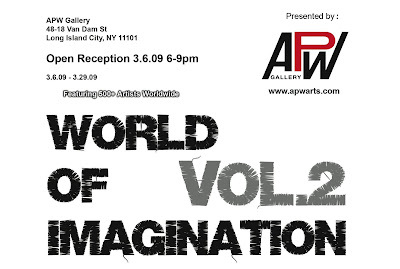 I won't be able to make it, but if you happen to be in NY, stop by and give the show a look!